Royal Crafter’s Choice Golden Talkon Wash Brush Set 3 pc. Royal Crafter’s Choice Golden Talkon Variety Brush Set 4 pc. 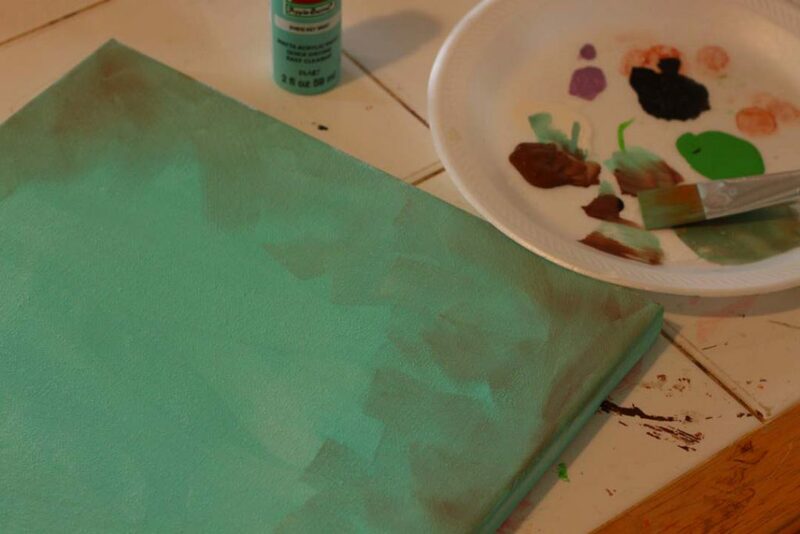 To begin, using your 1-inch brush, paint the canvas turquoise. 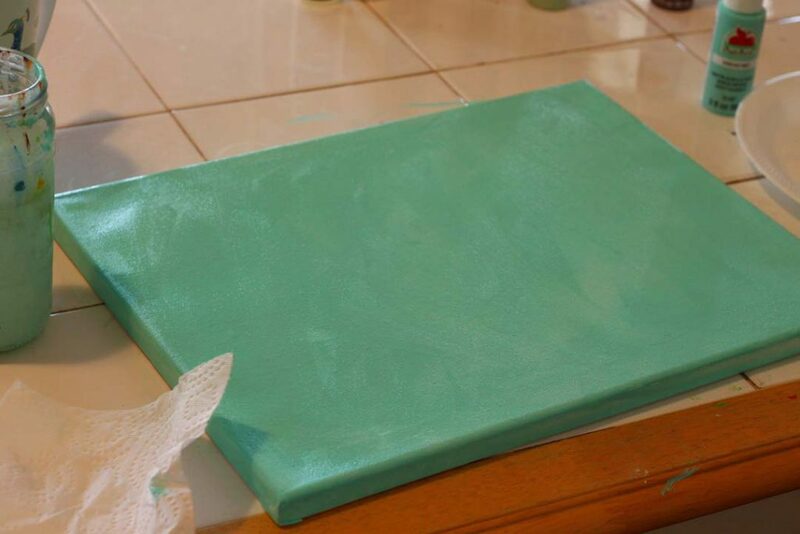 While the turquoise is still wet, blend some burnt umber onto corners and edges. Use a bit of water, as needed, to help you blend. 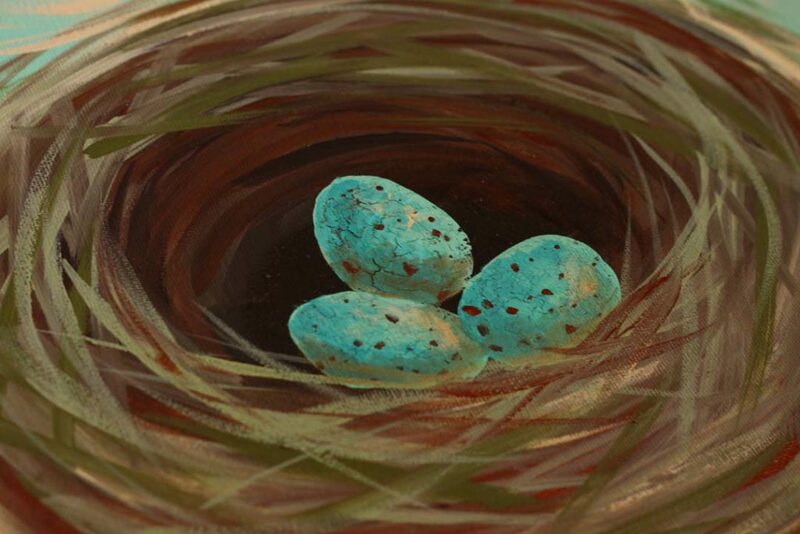 While still damp, use the burnt umber and your 1-inch brush to sketch in your nest. 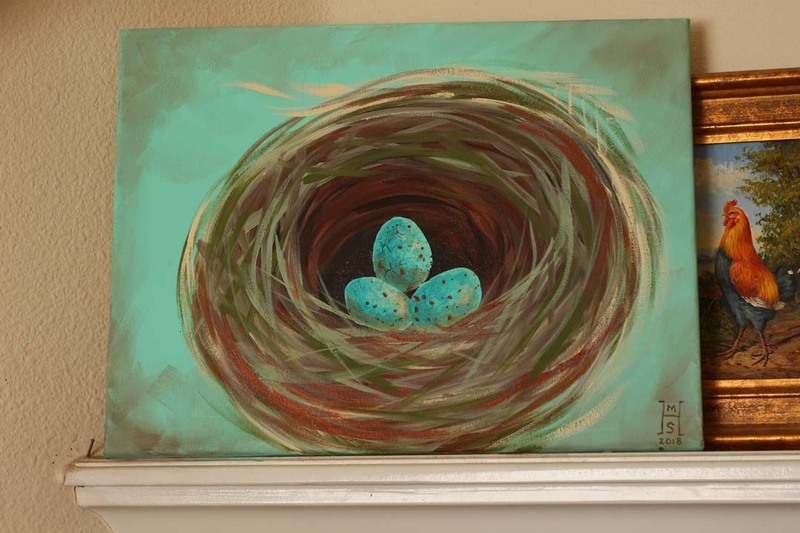 I suggest not just plopping your nest dead center on your canvas, but rather setting it toward the bottom middle of your canvas. Try to make a rough oval shape, rather than a perfect circle. 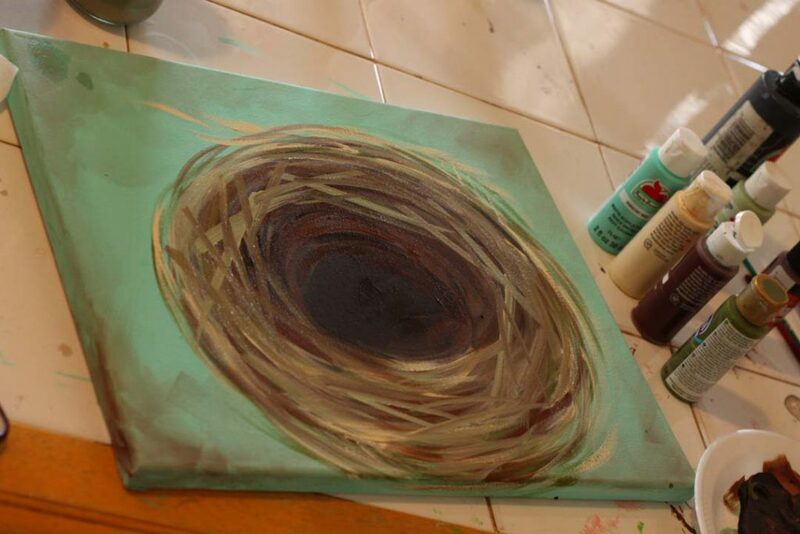 Fill in your nest with brushy strokes. 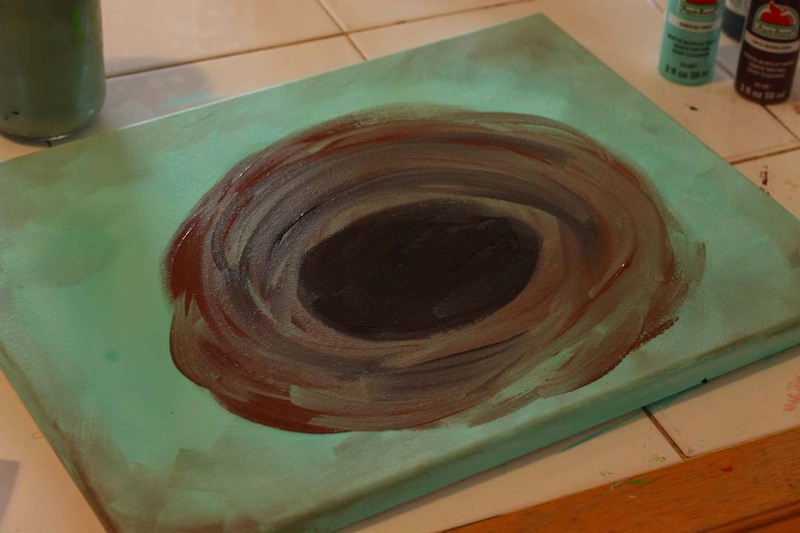 Mix a bit of your burnt umber with some black, to create a dark brown color. Use your large brush to create a dark oval in the bottom middle of your nest. 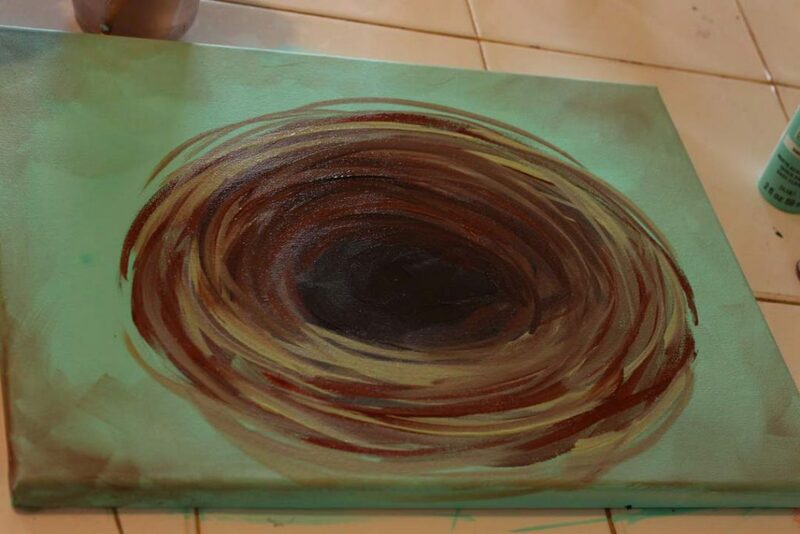 Use a bit more of your dark brown to add some loose stripes of color around the edge of the next. The brushstrokes that make up the materials of your nest should be arced around the middle of your nest in loose, brushy stripes suggesting grass and sticks woven together. Load some copper onto your brush, and create some loose stripes of color. Next, while the paint is still damp, load your 1-inch brush with some of the antique white, and begin loosely creating stripes of color around the center of the nest, letting the colors blend as you stroke the color. 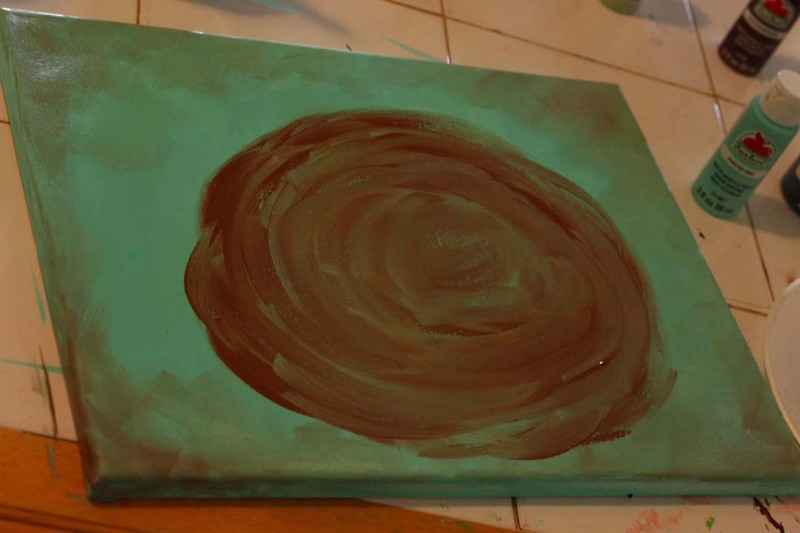 Repeat the process with the green, blending as you go. When you’re satisfied with your nest, let it dry. 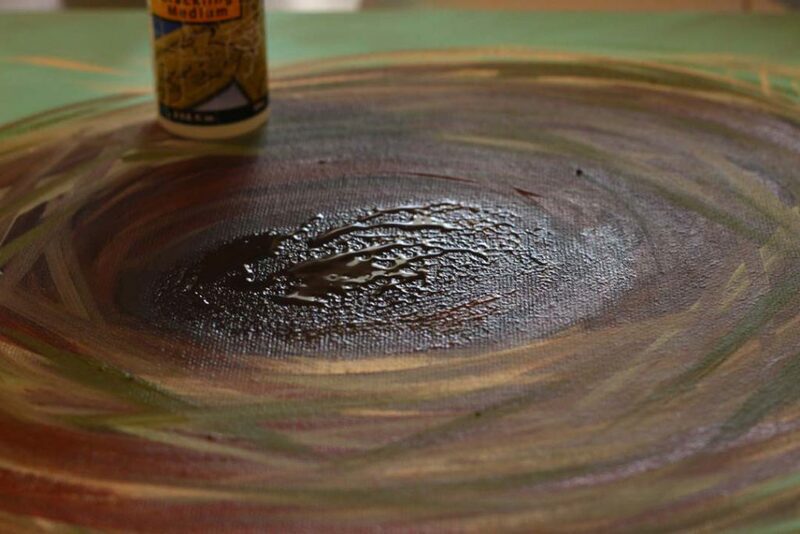 When dry, use a small flat brush to apply some crackle medium to the dark center. Let dry according to the bottle. Using a small brush, and your turquoise paint, paint a cluster of eggs in the center of your nest. 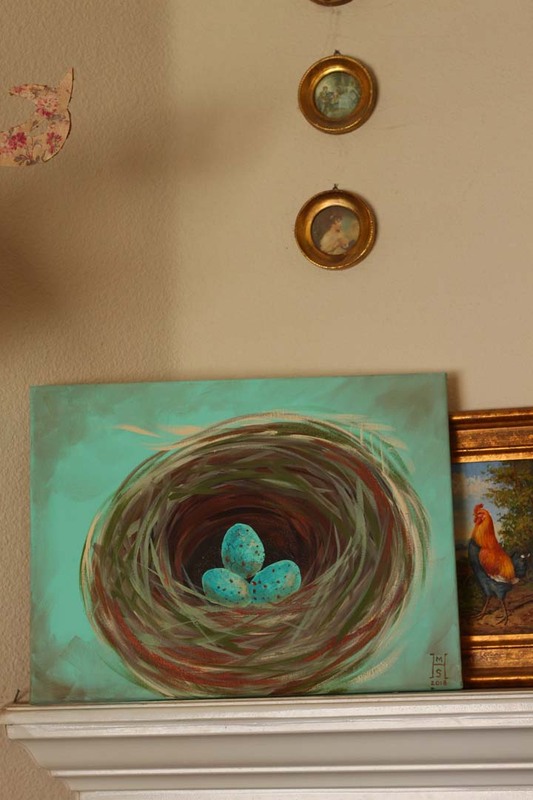 Working quickly while the paint is wet, shade the edges of the eggs by dabbing on a bit of dark turquoise, blending a bit at the edges, and add a rough highlight on each egg with some antique white. Let dry completely. 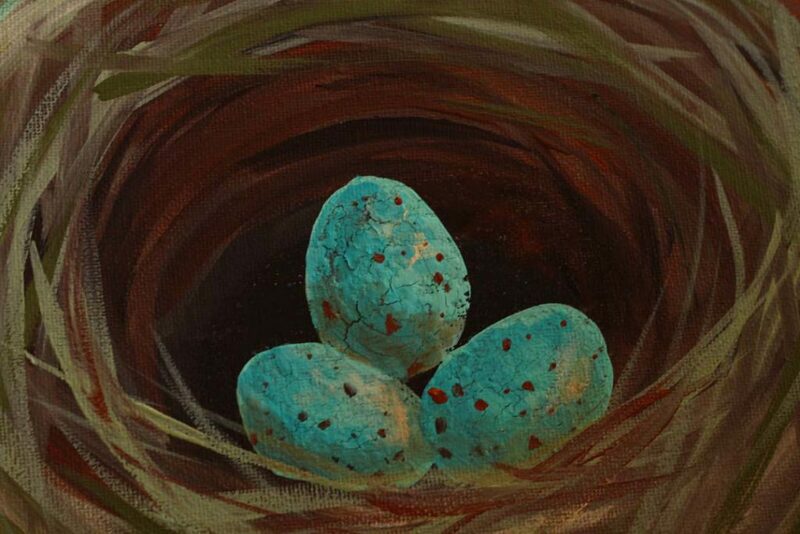 Use a small detail brush and some burnt umber to make speckles on the eggs. Thin a bit of burnt umber down with some water, and shade the edges of the eggs. 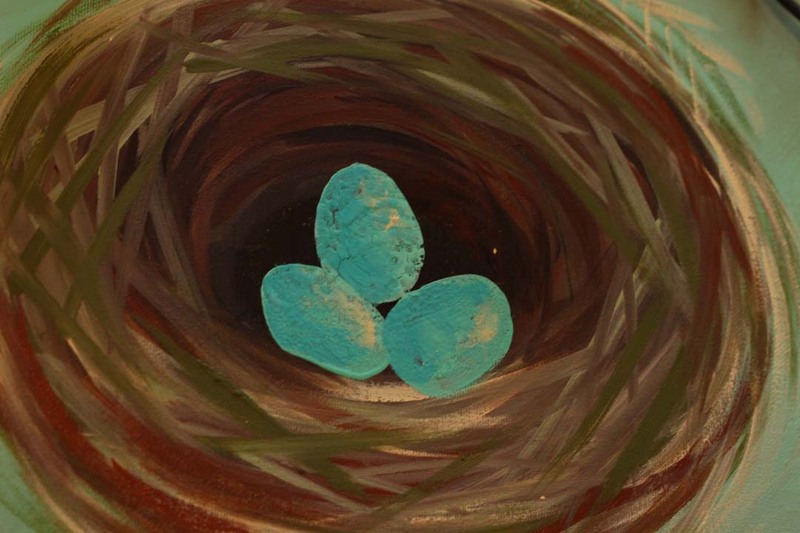 Load a bit of light green paint onto your 1-inch brush again, and add a few more strokes to your nest, overlapping the eggs a bit to “set” them into the nest. Now sign your work, and put your masterpiece on display!